Home » 360° Camera Comparisons » Rylo vs Xiaomi Mijia Mi Sphere: Which should you buy? Rylo vs Xiaomi Mijia Mi Sphere: Which should you buy? If you have been researching which 360 camera you should buy then you’ve probably come across these two cameras. The Rylo and the Mijia Mi Sphere are among the most popular 360 cameras out right now, both have excellent features and unique selling points, but they are also very different. 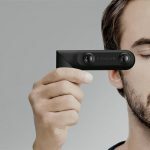 Consumer 360 cameras are a relatively new technology and there hasn’t yet been one product that beats out all the competition, rather each camera has its own positives and negatives. 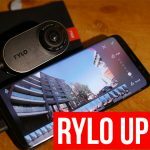 If you are struggling to choose between the Rylo and the Mijia Mi Sphere then continue reading this post; I’ve owned both cameras since their release and can tell you exactly what they are good at and if you should buy them. Both of these cameras can shoot 4K 360 video, however the Rylo has a slightly higher resolution at 3840 x 2160, vs the Mi Spheres 3840 x 1980. While this may make a small difference in terms of image sharpness, in reality you probably won’t notice a huge difference. What’s much more important is the quality of the optics and how they capture light and details. The Rylo has customized optics built into its body; this is generally considered that off the shelf lenses because customised optics are designed to work with the specific camera they are designed for. The Mi Sphere uses more generic lenses, however they are of paritucarly high quality when compared to other 360 cameras. This 360 video demonstrates how the Rylo deals with various lighting conditions. Make sure to select the highest quality in the settings bar to get the best effect. The Rylo is a very decent 360 camera for video, especially when used in a well lit setting. It can capture details at a distance and the extra pixels do seem to make a difference. The lighting is well balanced, however the Rylo does tend to add a warm orange hue to most videos, which can be corrected in the app’s video editor quite quickly. The Rylo doesn’t work as well in low light conditions, in fact it’s really not worth using in any dark areas. Since this video was taken there has been several software updates that have improved low light capability, but I still wouldn’t recommend it for this. The Mi Sphere is definitely one of the best 360 cameras for video at its price range. Not only does it produce fairly sharp and detailed video, but it works well in lower lighting conditions. The colors are reasonably vibrant and brights areas aren’t too overexposed, a common issue among 360 cameras. The video does suffer from pixelization at the edges of the screen, which is usually unavoidable at this resolution. You may conclude that both cameras are fairly equal in terms of video quality. The main difference between them is the saturation and slightly different resolution, however there is more to video than just appearance. If you are going to be shooting video that’s moving then stabilization technology is essential, and this is where the Rylo justifies its higher price tag. Arguably the no 1 selling point of the Rylo is its ability to almost perfectly stabilize video without the need for any extra equipment. This means you can run, cycle, drive or climb with the camera and you’ll hardly notice any vibrations or movement. This is an essential feature if you want watchable, moving video. The Mi Sphere does have stabilization technology, however it is nowhere near the level of the Rylo. If I had to choose a camera based solely on video quality then I would choose the Rylo thanks to its stabilization technology, however if you don’t intent to use your camera while moving then the Mi Sphere is an excellent device and a bargain considering how well it shoots 360 video. An increasingly common use of 360 cameras is reframing. This invovles editing your 360 video into a normal flat video, the result is very smooth and cinematic looking footage. It also allows you to shoot first and point later, so you’ll never miss any action. As you can see the video is very smooth and allows you to track and focus on specific objects. The camera itself did not move when shooting the video and all movement was achieved in the app editor. Unfortunately the Mi Sphere does not have a similar feature, so if you want to create these types of videos the Rylo is your only option. An awesome 4K 360 camera with perfect stabilization and innovative software. While the Rylo may have the Mi Sphere beat when it comes to 360 video, photo’s are a completely different story. I’ll be frank, the Mi Sphere is a MUCH better 360 camera for photos than the Rylo, in fact it’s probably the best 360 camera for photos under $1000. The Rylo has limited photo capabilities and the resolution is limited to 18 megapixels. The Mi Sphere has a huge number of options when it comes to shooting photos, including the ability to shoot in RAW. The resolution is a more impressive 23 megapixels and the quality shows. While these two images are obviously not shot at the same location, the difference in quality is still very apparent. The i Sphere is far sharper and if you zoom in the image still retains details. The Rylo image is really quite blurry, reminiscent of a phone camera form 2010. The Rylo also lacks the ability to manually control exposure, ISO and shutter speed, whereas the Mi Sphere has all these options and more. A 4K 360 camera capable of shooting amazing quality photos. One of the best value 360 cameras available. Most siginficantly, the Mi Sphere allows you to shoot RAW 360 photos, allowing you to considerably improve the image in post production without losing quality. The result is exceptionally high quality images that rival some DSLR rigs. The Mi Sphere is being used professionally to shoot 360 tours, which is quote exceptional given its low price. My photo editing abilities are limited, so if you have any experience in working with RAW files then you’ll probably so an even better job than me. In any case, the Mi Sphere is an exeptional 360 camera for photos, so if this is going to be what you use it for then there is no competition. Livestream: Neither of these cameras can livestream in 360. Battery: While the Mi Sphere has a larger battery with more capacity, I’ve found that both cameras will last around 1 hour of continuous shooting. If used sparingly and without wireless connection you should be able to get through most of a days worth of shooting. It might be worth bringing a power-bank if you intend to shoot a lot of footage. Software: The Rylo is heavily software focused whereas the Mi Sphere is more about the hardware, and this difference shows. While the Mi Sphere has more options in terms of control and changing settings, unfortunately the software in can be buggy and difficult to work with. I sometimes struggle to connect to the camera despite having the latest firmware and a powerful smartphone. The Rylo on the other hand has been exceptionally easy to work with. The App has a very useful video editor and I’ve not had any instances of the app crashing or failing to connect. One feature lacking from the Rylo is the ability to transfer footage wirelessly, instead you need to connect via a cable provided which can be an annoying extra step. As with most of these comparisons there isn’t really one clear winner and your choice will largely depend on what you intend to use the camera for. To put it plainly, if you want a video camera then get the Rylo, if you want a photography camera then get the Mi Sphere. If you want a bit of both, then it’s hardly to determine a winner. We cant ignore that the Rylo is nearly twice the price of the Mi Sphere, but then again it does have some very impressive features. I’d say the Mi Sphere is better for beginners who want a good all-round camera, whereas the Rylo is more for vloggers and those who like to spend time creating awesome videos (both 360 and non-360). Both of these cameras are only available online. The Rylo is available on Amazon in the USA (not avialable in Europe yet) and the Mi Sphere is available on Gearbest.com (worldwide shipping).